What if I told the community that there is a strong possibility of an aftermarket manufacture will be developing full led drl headlights and tail lights to modernize the look of our XK's. Development will take about 1 year and the sets will be around 700-1100. 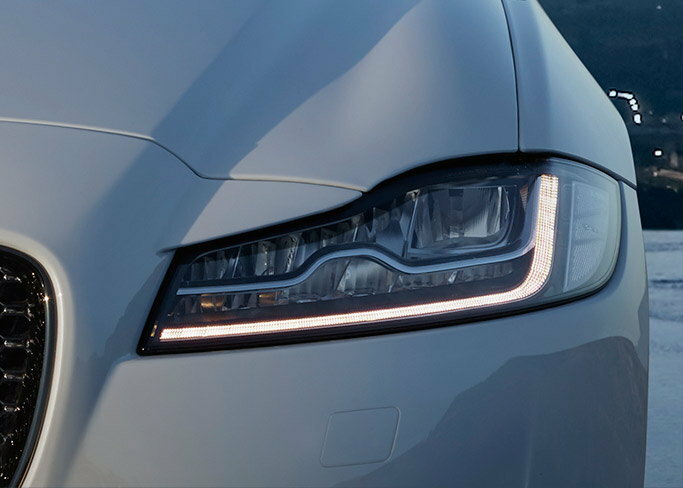 We never really had a aftermarket headlight and tail light manufacture on a large scale but the wait may soon be over by 2020. This will be the official thread regarding this topic. Designs should be rendered within the next 5-6 months I am thinking J-Blade DRL designs would be best. Last edited by ftypedreams; 04-11-2019 at 01:14 AM. Uh.....no thanks. That may be more than I have spent in total on my XK8 repairs. And its just for lights? You might get some interest from maybe luca or billy clyde. I would be very surprised if you got enough interest to justify a proper manufacture of such a product. Oh the support for the production of this manufacture will be more than justifying There are approximately 90,000 XK owners worldwide. Given the fact that our OEM headlamp assemblies alone range anywhere from $1300-$3000 depending on if its halogen or HID in addition the OEM lens replacements are around $600 alone. Our XK's are about to reach classic collector status and OEM parts such as headlights will be hard to come by there is already a shortage on lens on the HID models. So therefore the time is now for development of a all new and improved Full LED version of our headlights to project better light out put than the OEM. So with that being said 700-1100 for a full set of led headlights is a deal. Not only that our XK's will have more a modern appeal to keep up with times. Like rothwell, I probably would not purchase new lights as an upgrade. However, if I had to replace my headlights or tail lights, I would certainly consider an aftermarket product that increased safety even if it did cost a little more. 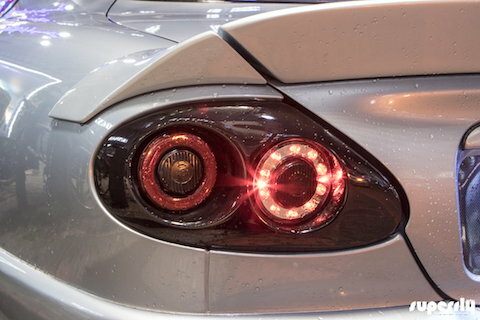 While used headlights and tail lights are available, the prices are high and will not likely ever go down without the pressure of aftermarket competition. Even the used market for pair headlights still run around $700-1200 a set. So it definitely is a justifying factor. I will be getting word back from the manufacture soon. F, I'm not sure what these lights would do beyond sub $100 headlight improvements like LED or HID. Thanks for the offer but it wouldn't be for me. If you're trying to gauge what interest there is in an aftermarket lighting set up, I will put my two pennies in. As I'm trying to keep my car as original as possible, aftermarket upgrades aren't for me. Even if I wasn't, the costs you indicated seem prohibitive. If I was in a rear-end accident, and I had to replace entire units, I would still try to go for original units (second-hand) before going to aftermarket suppliers as a last resort. Actually the oem used sets are still expensive and aint no telling they would be up to par. Our XK's are pushing towards over 20 years old. As I mentioned oem Jaguar headlight parts are becoming a shortage. I inquired about lens for hid cars and the part been out of stock since November. So there has to be an aftermarket arena for headlights and tail lights. When the new design is rendered a lot of XK owners will be on board. Besides the light output will be 2x-3x better than OEM and will be better for safety. Last edited by ftypedreams; 04-10-2019 at 09:31 PM. I think the more choices we have for lights and other parts the better. Exactly some of the oem ones still have condensation. At least we will have a choice and a better choice that will improve light output and safety. Well I am in talks with manufacture to help make this possible. Last edited by ftypedreams; 04-11-2019 at 01:02 PM. That wasn't very nice, Rothwell...…..
Guys this may be happening sooner than we think it seems like the manufacture is interested. I meant no disrespect Billy Clyde. Was just trying to point him toward folks that I recognized as willing to consider expensive aftermarket stuff. I figured you could provide knowledgeable insight on the viability of such a product. Please accept my apologies for any offense. Are these completely new headlights or something you put inside the originals? My own personal view is I would not have them even if you were giving them away. I prefer originality. Had BMW's in the past and modded the heck out of those but I feel that the X100 does look better, and keeps its value, when you go original. Good for you though trying to do this. It does take courage to splash the cash. Hope it works out for you. Plenty of the lens available in the UK. Spoilt for choice over here. Google D Roche Jaguar. He has some. Not really going to make a judgment on the appearance of either the head or taillight, but if there's anything to be learned here, I think perhaps an additional (or maybe even more lucrative) avenue would be recreating the original style lights with subtle changes. For example, swapping to the newer jeweled taillights requires some fab work. If you managed to recreate the jeweled taillight but with the ability to mount into older cars, I think there would definitely be a market for that. That all being said, the more innovation the better. It certainly wouldn't hurt to have those available, even if the size of the market for them is still a bit unclear. These will be completely newly designed full LED headlights with DRL's in the housing with LED tail lights. LED lighting will produce 2x-3x better lighting output then the oem headlights. They should have 3d designs renderings within the next 6 months then production should take place. I am in talks with manufacture to get this done for XK owners and the community given the fact we don't have aftermarket headlights and tail lights available for us. Not something I would ever fit - sorry. There will always be a market for Jaguar aftermarket parts especially headlights and tail lights and if we can get them led modernized thats a plus.